Do I need a Commercial Gas Safety Certificate? It is very simple, if you have a commercial property with gas appliances, it is a criminal offence not to have a valid annual Gas Safety Certificate. We issue these whenever we complete a gas boiler service, so this is the best way to get them. How to Get a Gas Safety Certificate? About 30 people die every year in the UK through poorly installed or badly maintained gas appliances and flues resulting in deadly carbon monoxide poisoning. The Gas Safety (Installation and Use) Regulations 1998 impose duties on users of gas systems to ensure they are safe and suitable for use. Full detals can be found at the Government Gas Safety Regulations webpage. These duties would include being responsible for the annual servicing and inspection of all in-service gas boilers, fires, heaters and any other type of gas burning equipment or appliance. Whether you are a tenant or a landlord, employers or self-employed, if you are responsible for gas appliances, this applies to you. Your lease or a separate contractual agreement can help to set out practical arrangements for ensuring gas safety requirements are met. However, the ultimate legal responsibility remains with the occupier of the workplace concerned. The owner, or other person in control of the building, may also have duties under the Health and Safety at Work Act 1974 – such as ensuring heating equipment in common parts is maintained safely. The lease or separate contractual agreement can be used to determine how these responsibilities are allocated. Whatever the size of the appliance, type or location of the appliances and systems, it is mandatory to ensure that they are serviced at least annually, or as often in accordance with manufacturer’s specifications. In our view, it is simply not worth the risks associated with not having a Gas Safety Certificate. It’s not just the penalty fines or loss of supply; it’s the risks to life of faulty equipment and potential imprisonment if you are responsible. Severe penalties for non-compliance can be imposed and deaths could result in manslaughter charges for landlords and agents. 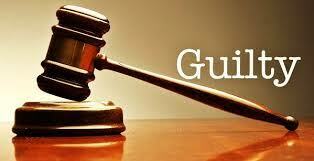 Non compliance is a criminal offence and courts can impose unlimited fines and custodial sentences. This may also invalidate your property insurance and could subsequently lead to claims for civil damages – awards in these cases have proved to be very high indeed. How Much Will A Gas Safety Certificate Cost? This varies according to the number and type of gas appliances you have. The best and most cost effective time to get a gas certificate is part of your annual maintenance. 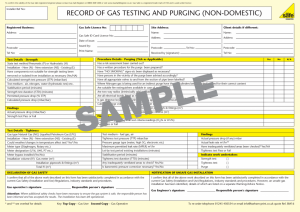 Gas Safety Certificates can only be issued by GasSafe registered engineers. They will need to attend your premises and carry out a series of tests on each gas appliance, including a visual inspection, functionality, pressure and operation tests. 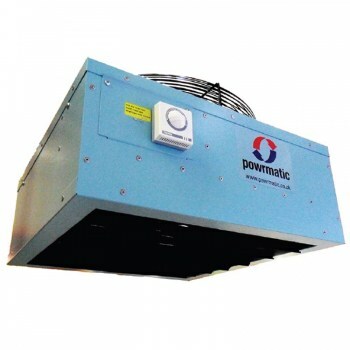 Any appliance that uses an extraction system to remove combustion gases will also undergo inspection to assess the extraction method is suitability or not. Appliances that are being tested will need to be isolated for a short period of time until certain tests are completed. 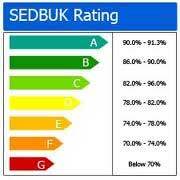 I have just installed a new gas appliance, do I need a certificate? I am a landlord, what are my responsibilities? If, under your lease, the landlord retains responsibility for gas appliances, a copy of the Gas Safety Certificate must be given to the tenant on entry and within 28 days of an annual check. A copy must also be retained by the landlord for 2 years. If you use a managing agent make sure the contract makes it clear who is responsible for managing gas safety checks. 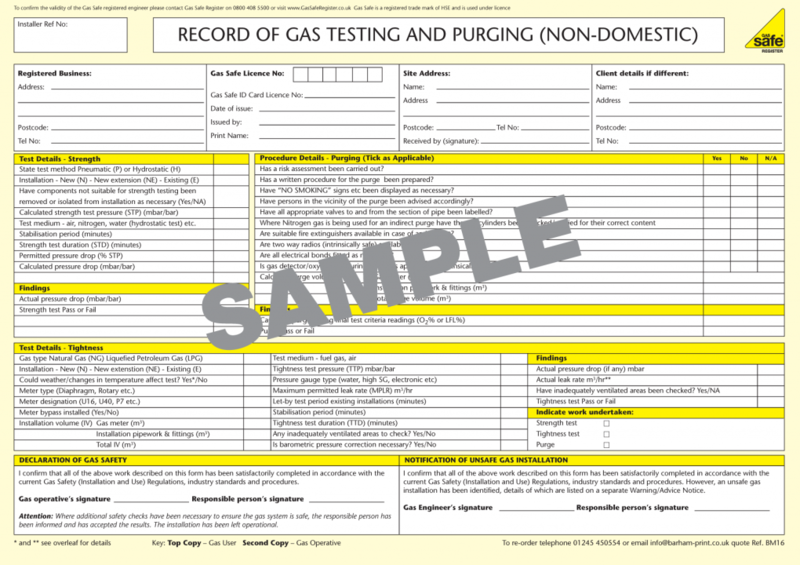 What information does the Gas Safety record contain?